It’s that time of the year, when the sun is finally shining again, and I am just itching to get outside and plant something in the garden, and as soon as I pull out the packets of seeds and start digging in the dirt, the kids want to join in too. Gardening with your kids doesn’t have to be time consuming or difficult, and you don’t even need a green thumb! All you need is a little patch of dirt or a sunny place to put some pots and a bit of time to get dirty! When you are choosing plants to grow with your kids, look for things that go from seed to food fairly quickly, things that are easy to plant (think big seeds for little hands), and things that are not too fussy about where they are planted. It’s also a great idea to think about growing some veggies that your kids like to eat, as well as a few new things that they might try. 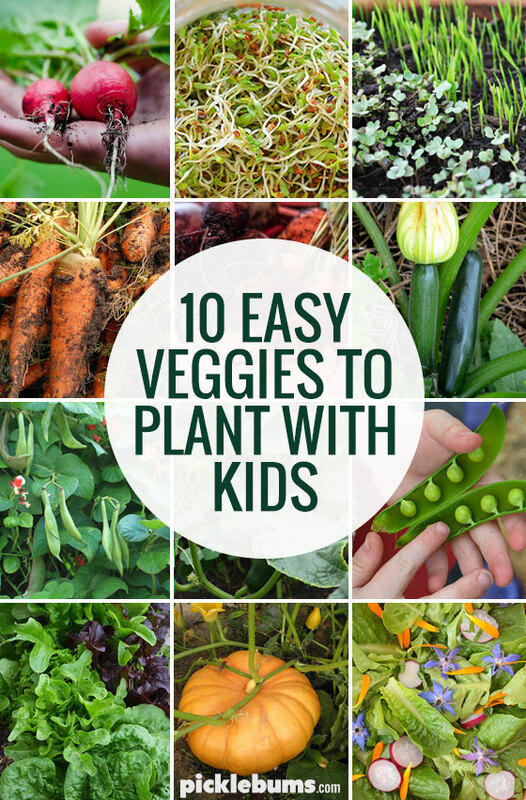 Try some of these easy veggies to grow with kids! Radishes are not fussy, it doesn’t matter where you plant them, and they grow fast. You’ll see the first sprouts in just a few days and they will be ready to harvest within 30 days, or earlier if you eat them small. They’ll grow right through spring summer and autumn and they have an interesting flavour for kids to try. You don’t even need dirt to grow alfalfa sprouts! Grow them in a jar on your kitchen bench where you can actually see the seeds sprouting. Find step by step instructions for growing sprouts here. Microgreens may sound a bit hipster but they are really just a big sprout. You can grow them in a shallow container on your window sill, they grow fast and they are lots of fun to snip off with scissors when they are ready to eat. You can find instructions for growing your own microgreens here. Carrots grow really well in a deep pot, in fact they probably do better in a pot than in the ground if you have hard clay soil like we do. Grow them in spring or autumn and you should be pulling baby carrots within a few weeks. There are lots of interesting types of carrots too, you might like to grow some purple ones! There are two great things about growing zucchinis 1) it’s easy to grow a lot of them and 2) you can use them in so many ways. My kids beg to plant zucchini seeds every spring because they want to make this easy and delicious zucchini bread. Beans are nice and big and easy for little fingers to plant directly into a garden bed or pot. If you choose climbing beans you’ll need to provide some kind of support for them to grow on, so build a teepee out of garden stakes and grow yourself a cubby house. There is nothing better than munching on fresh green beans while sitting in your bean teepee! Find instructions for growing a bean teepee here. You can grow peas into a teepee also. You plant peas a little earlier than beans so grow them up your teepee support in early spring, then plant some beans a few weeks later to grow over summer. Kids love picking peas and eating them fresh from the garden, and it’s easy to dry the peas and save them as seeds to plant next year. Picking your own salad is great fun! Lettuce comes in all different colours and varieties, is quick to grow and doesn’t need full sun. It is easiest to grow lettuce from seedlings rather than seed, and you should be able to buy a tray that has few different varieties. With nice big seeds pumpkins are easy for little kids to plant and they sprout quickly. You can start them in little pots on your window sill in early spring, but you’ll need plant them outside with lots of space as the vines can easily take over. You’ll need to be patient, but as long as you remember to water them (kids love watering the garden) you should be rewarded with some big pumpkins by the end of autumn, and there are so many fun things to do with pumpkins! 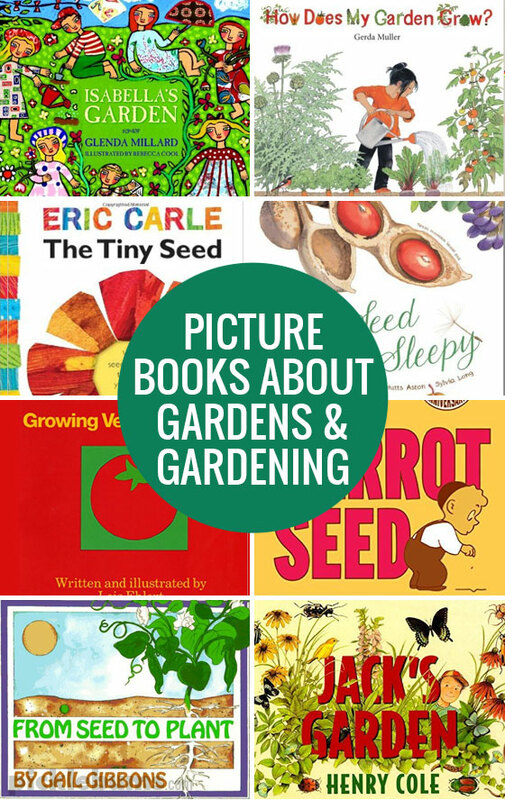 While you are waiting for your seeds to grow, read a few books about gardening with your kids. There are so many lovely picture books that helps kids learn about and inspire them to love gardening, here are a few of our favourites. Growing Vegetable Soup by Lois Ehlert – This is a great book for little ones with bright colourful pictures and short text, as well as inspiration to grow and cook vegetable soup! Find it on Amazon or Booktopia. The Carrot Seed by Ruth Krauss – A classic story book about having faith that your seeds will one day grow! Find it on Amazon or Booktopia. 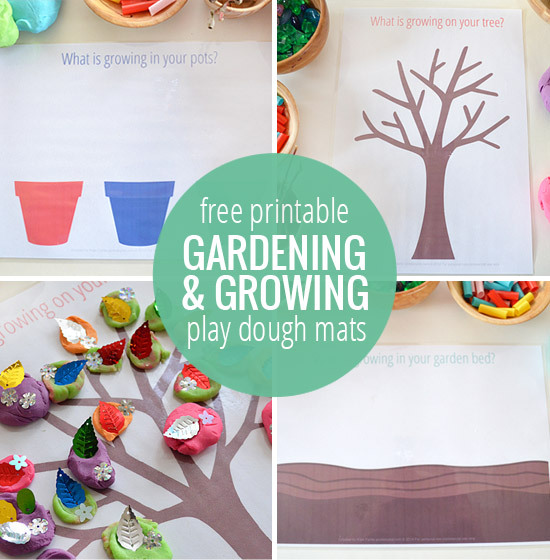 You might also like to check out our free printable ‘Gardening and Growing’ play dough mats so you can make your garden out of dough while you wait for the real thing to grow. 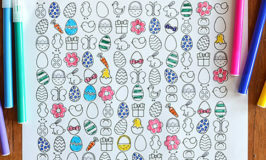 What is your favourite thing to grow with your kids? What do you think are the best veggies to grow with kids? 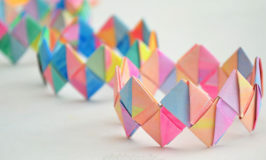 Another great post Kate! Only only plants I’d add into your list are Rocket and Nasturtium. Aptly named, Rocket will shoot up from seed in just weeks. And Nasturtium (packed with Vitamin C) and its flowers are great mixed into salads. It is also a natural pest repellent. About carrots just can’t get them to grow! Carrot seeds can take a long time to germinate, and you need to keep the soil moist but not wet while you wait for them to sprout. It could also be that your seeds are old or not very good… you can test them out by placing them on some damp paper towel and seeing if they sprout. Again keep the paper towel damp but not wet, and if/when they sprout you can plant the whole thing, towel and all.